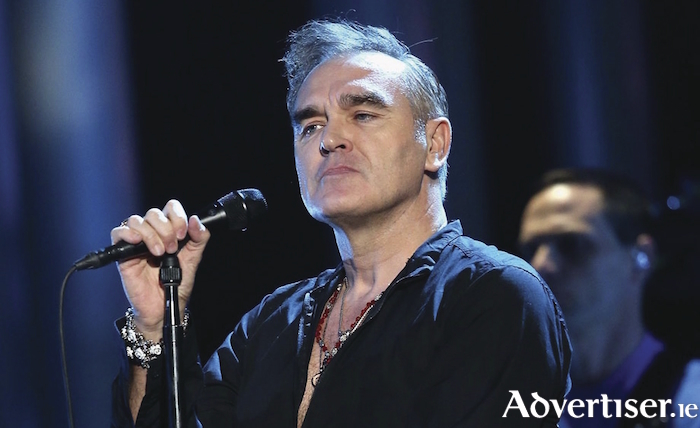 MOZZER HAS never been afraid to speak his mind, but recent pronouncements on Brexit, UKIP, and Harvey Weinstein, have, to put it mildly, left many fans (including this one ) shaking their heads at the lack of wisdom on display. So the arrival of Low In High School comes as a relief, given it is both an answer to his critics and antidote to his sometimes own unenlightened comments. It is also the most political album of his career. 'My Love I'd Do Anything For You' and 'Spent The Day In Bed' are appeals for critical thinking and to question what is presented to us as orthodoxy in politics, religion, and society - sound advice in an age of extremes and Fake News (and a stance the Mancunian should apply to himself from time to time ). It's advice which should also apply to those who think Morrissey has become a Zionist. 'The Girl From Tel-Aviv Who Would Not Kneel', a marvellous, piano led tango - unusual in the Mozzer canon - is, in part, about the survival and defiance of the Jewish people in the face of centuries of repression, but its main concern is to, more broadly, salute the peoples of the Middle East for resisting a Western interference ("the American way is to show lots of teeth and talk loudly" ) driven not by altruism, but by the fact "the land weeps oil". Contrary to what is being claimed, the epic closing piano ballad 'Israel' is not necessarily about the Jewish state either. Note the way Mozzer sings the word 'Israel', with an emphasis and indentation familiar from sacred Christian music, especially Gregorian chant. This is largely using the term in a Christian manner and subverting it. The song's main concern is with religious attitudes to sexuality, and sexual expression and identity, and so (like John Grant's 'Glacier' ) is more a clairon call to, and celebration of the worldwide LGBT+ community, against the repression it has faced from religious institutions. A strong, musically satisfying work, with several stand-out moments, this is an album which deserves a closer listen to the lyrics than it has so far been getting.